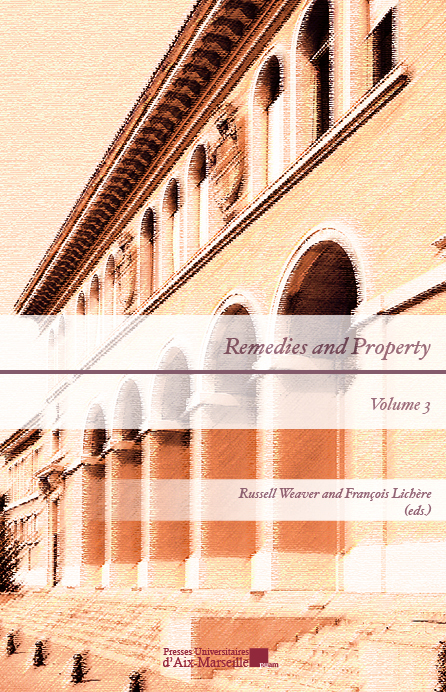 This book involves papers from the fourth Property Remedies Discussion Forum which was held at the University of Aix-Marseille Faculty of Law in June 2016. The papers deal with both recent developments in remedies, and a comparative analysis of property remedies. The topics addressed in this book include various aspects of remedies, from “Foreclosure of Community Association Liens” to “Property and Accountability in the Un-Republication University”, with also a look at private nuisance in French and American law or at affordable housing seen from a French-American perspective, among other topics. This symposium sheds invaluable light on these issues because it includes prominent remedies scholars from all over the world (USA, Europe, Australia, South Africa).